First, it’s important to bear in mind that there is no single “best” course of action that every family should follow. After all, each family must work with its own unique set of circumstances and what’s best for one family might not be best for another. That said, it should also be stressed, up front, that the odds of success will most likely be higher in proportion to the amount of input in the minority language that the child receives on a regular basis. To determine the strategy that’s best for your own family, I encourage you to make a conscious decision with your partner that effectively takes into account your particular circumstances and aims and meets the two “core conditions” for fostering active bilingual ability: The child receives ample meaningful exposure to the minority language and feels a genuine need to use it. The “one person, one language” approach (also called “one parent, one language”), where each parent speaks a single language to the child. Read on to consider the advantages and disadvantages of each approach, and learn which one my own family chose, and why. Given sufficient exposure to both languages, this approach can help create a firm foundation for the two languages to grow simultaneously and in a roughly balanced way while establishing an organic need for the child to actively use them on a daily basis. Each parent is able to speak his or her mother tongue, an important point that I reflect on in Why Communicating in English with My Kids is So Important to Me. As I indicate in that post, many parents have a natural desire to interact with their own children in their native language. This strategy can substantially boost the amount of exposure that the child receives in the minority language. This is especially true, of course, when the parent who speaks the minority language as a mother tongue is unable to spend as much time with the child as the other parent. A clear distinction is drawn between the use of the two languages: in the child’s mind, the minority language is used at home, the majority language is used outside the home. Although a similar distinction can be set with the “one person, one language” approach—the minority language is used with one parent, the majority language with the other—this distinction may weaken if the parents aren’t consistent about this usage. The lack of input in the majority language at home can result in that language developing more slowly. Though the child generally “catches up” with peers once attending a school in the community, his introduction to schooling in the majority language can be challenging, emotionally, and he may remain at an academic disadvantage without some form of parental support. In a way, our decision was easy. Because my wife’s English level is fairly low—and she wished to communicate with our children in Japanese, her mother tongue (which I completely understand)—we adopted the “one person, one language” approach from the very beginning and will likely stick with it. The decision itself may have been simple, but sustaining this strategy over the years—when I’m the main source of their English exposure and not their main caregiver—has demanded enormous effort on an ongoing basis. At this point—Lulu is 8 and Roy is 5 (as of November 2012)—I can say that the effort has largely paid off: both children have gained good English ability, including strong (for their age) reading and writing skills, and will only interact with me in English. At the same time, it’s true that our approach has had some downsides. Before we had children, Keiko and I regularly used each other’s languages, observing “English days” and “Japanese days.” Our communication (particularly in Japanese) was pretty good and we were both making strides in our second languages. After the kids arrived, however, I was reluctant to continue using Japanese at home. Like I touched on above, I didn’t want to undermine their need to use English with me. And so, 99% of the time, I speak English and Keiko speaks Japanese—even when we’re speaking to each other. I’ll be honest to say that this has been a drag on both our communication and our language-learning progress, but our priority right now, while the children are small, is their bilingual development. Perhaps there’s always a price to pay, somewhere, in this quest to raise bilingual kids. Whatever strategy seems to make the most sense for your family, tailor it to your needs and commit to it wholeheartedly. Not only is it important to consciously choose the best approach for your situation, you should be as consistent as you can about carrying out that intention. This doesn’t mean being rigid, though. If circumstances change, and warrant a change of tactics, assess the new conditions and take appropriate action to rebalance the language exposure the child will receive moving forward. This may call for a change of language strategy within the family, or a stronger effort within the strategy you’re already pursuing. Of course, consider the child’s feelings carefully when making any significant changes, especially if a parent will begin using a different language. Discuss such changes with the child (if he’s old enough) and implement them gently, with an eye on the child’s reaction. How about you? Which language strategy are you using with your family? Why? Is it working out well so far? What difficulties have you encountered? The most important factor for achieving (near-)balanced bilingualism is exposure to both languages. Having just one person as source for one of the languages is never optimal, and finding more persons and contexts for the language is probably more important than speaking just one language consistently. Øystein, thank you for your comment. In my case, as I mentioned, the OPOL approach was the only viable option, and our consistent use of the two languages (along with the wider use of the minority language that you note) have been the keys to our success. Every language strategy has its merits and challenges—and every family needs to determine which approach will be most effective for them at a particular time in their bilingual journey. I touched on this as well in a post entitled parenting techniques for bilingual children. You’re right on here again… commitment and consistency are what I’ve found, through my research, to be paramount in the ability to really pass the language down. I do appreciate the commentor’s comment above as well – variety of input is important.. however that can be accomplished through several avenues. Good post! It is our choice to choose what would fit best on each of our circumstances from any options available, even if it is proven good or not, we may not know! So let us just try and try, in our “honest best”! I really like that phrase Adam! It just stubbed my conscience! Lol! Thanks for that! Yes, Raira, our “honest best” should always be our goal, I think. I guess what I’m planning to do is “troubleshoot” when it seems like one language isn’t getting enough attention, especially in transitional periods. Right now I am speaking the minority language (English), and I am the main caregiver for our 14 month old. My husband speaks mainly Russian, the majority language. We are starting to speak the minority language more with each other to counteract the advantage given to the majority language. However, I am fluent in the majority language, and I expect that my son has already picked up on this. He may realize at some point that he doesn’t NEED the minority language to survive. I am already running into issues on the playground/in public, wondering how to teach him social skills in both languages. Anyway, once he’s off to school or I go back to work we will have to reevaluate depending on which language will be spoken at school. Elizabeth, you’re clearly giving this good thought (I peeked at your blog, too! ), and it sounds like your family is doing really well so far on your bilingual journey. The points you raise are important—and don’t have universal answers, of course—but I can tell you that, in my case, I’ve only used the minority language to address my children, even in public. This means I’ll speak Japanese to the non-English speaker, but switch back to English with my own kids. It’s true, this can sometimes be awkward, but to me, my higher priority is my children’s long-term bilingual ability—which has meant “conditioning” them to use only English with me—not the short-term social situation at hand (though I naturally try to take both into account). I think, too, that having English as a minority language is a distinct advantage because its “high status” makes it easier to use in public, at least in my setting. So I’ve never been shy about speaking to my kids in English, even when they seem a bit shy about it themselves! We have been doing the OPOL approach since our son was born. This felt the most natural to us and we did not really look into any method to encourage our kid to be bilingual. I am French and my husband is British and we live in the UK. Our son is now 2 and a half and I am now really struggling to keep a balance between the 2 languages. Our son will now say no to me when I am asking for him to repeat or count in French back to me. I have also noticed that he is picking up on the fact that I can speak English well. My husband and I mostly interact in English at home or outside. I would be very sad if my son would not speak French back to me so we are going to speak only French to each other at home (outside when possible too) but we will still speak to our son in our own respective native language. Does anyone have any feedback/comments on this variation of the “minority language at home” approach? Thanks a lot. We did this intentionally, from the very start, because I wanted to avoid the difficulty which can arise when the child frequently hears the minority-language parent speaking the majority language: the child comes to realize that he doesn’t really need to use the minority language to communicate with that parent. So I think you’re on the right path, in terms of strengthening your son’s need for French and his exposure to the language. For much more on this vital subject of need and exposure, please see What to Do When Your Bilingual Child Won’t Speak Your Language. Anne, please keep me posted on your progress! I’m cheering for you! Anne, I am exactly in the same situation as well, French living in Dorset UK with a British partner, adopted the same approach as you, and encountered the same problem when my daughter was 2 and a half and started to feel more comfortable making sentences in English. For me, the solution has been to spend a few weeks in France and sending my daughter to a holiday club (centre aere). She first refused to speak French to her new play mates but soon realised nobody understood her. She soon switched to French and, at 6, still speaks to me in French. I have since made sure to go for a “refresher” every year for 3 weeks. I think, speaking to other children in French is a great motivator and makes the language real. Of course, it might be that your circumstances make this solution difficult, but if you’re able to, I think it’s ideal. If not, don’t abandon and make sure you continue to speak French. Even if your son answers in English, he’ll continue to learn your language and will have the ability to switch later on. Armelle, thanks so much for sharing your successful experience. I agree with all your good suggestions and I’m sure not only Anne, but many others, can benefit from this advice. I am now 8 months pregnant and have just started looking into advice for raising a bilingual child. I am British, my husband Swedish and we live in Norway. We are a bit confused as to how to proceed with the languages. My husband has said that he feels more comfortable in English (than either Swedish or Norwegian) so we are considering the English in the home rule and hoping that our baby will catch up once they’ve started nursery (around 1.5y here) but won’t it be a huge disadvantage to not know any other language before then? Our concern is that if we do OPOL that my husband’s Swedish/Norwegian will be confused and that we—as a couple—will communicate in English thereby confusing matters even more. Leela, first of all, I wish you and your husband all the best with the new baby! Cherish those first few years—the days will sometimes feel very long, but the years will blink by! As for your family’s language strategy, it seems to me that you’re actually well-positioned to raise a trilingual child, if you prefer. *You would speak English with the child. *Your husband would speak Swedish to the child. *And your child would acquire Norwegian from school and the community. In this case, the child’s Swedish would probably lag behind somewhat, particularly if you’re the main caregiver and you and your husband speak English together. And though pursuing OPOL within your family might sound “confusing” in the abstract, I think you would find in practice that it could work quite smoothly and that your child would take to his/her trilingual life very naturally. I was wondering if there are other methods as well. Unfortunately, my wife and I speak both Czech, live in the Czech Republic, but I also speak English. Speaking in my second language to our child, I will never get the chance to transfer all the beautiful things you can say only in your mother tongue. That is why I do not want to speak to him only in English. Is it possible to use some predefined situations, like playing time, eating time, changing nappies time, these sort of things to teach him English? In your opinion, is it really worth trying if the conditions are against me? Thanks! I understand your feelings about wanting to use your mother tongue, as I feel the same way. (See Why Communicating in English with My Kids Is So Important to Me.) At the same time, because you do have good English ability, you could definitely benefit your son’s bilingual development by using this language regularly, too. The important thing is to create a clear distinction for “English time” so that: 1) your son becomes conditioned to the use of the minority language at these defined periods; and 2) you will be able to maintain this routine with relative ease. I’m not sure that using English during some of your normal daily interactions, when most of the time these interactions are conducted in Czech, will be effective on either count. Best of luck, Tomas! Please let me know how things go! Thanks a lot for your support and advice! Will try to at least support my son so that when he gets older he feels the minority language more and learns faster. Btw: I hope you had a great time in Plzen! First of all, I want to congratulate you on your great work. It’s being very helpful to us. Let me now tell you a little bit about our case. We have been doing OPOL since my daughter was born 2 years and three months ago. I am from Spain but have two native languages, Spanish and Galician. My wife is Polish and we live in Poland. We speak between us in Spanish so I always thought that this would be enough exposure of Spanish. Then she speaks to her in Polish and I in Galician. The intention was clear since the beginning, raising a trilingual child. However, I am not the main caregiver, and I have recently noticed on her a clear tendency to use just Polish. She probably understands both Spanish and Galician more than she speaks, but still, I am not sure she is developing them. After having read some of your posts I think that she is not having a 30% of exposure required, neither of Spanish nor of Galician. For this reason we are considering concentrate our effort at home just on Spanish and expect her to acquire Polish from the community. My concern is with regard to how this change may affect her development after two years. On the other hand, how could I still expose my daughter to Galician language. Are there specific strategies for trilingualism? Perhaps leaving Galician just for the daily time I read aloud? Wait a few years before introducing a third language? Xaquin, thank you for your kind words. I’m happy to hear that my work is helpful to you. At the same time, you’ll need to handle this shift gently, being sensitive to your daughter’s feelings, because changing to Spanish, from Polish and Galician, could come as a shock to her. If possible, talk to her about the situation, at a level she can grasp, and make this a gradual transition, while monitoring her emotional response. Eventually, I expect that Spanish will become your shared language at home, and Polish can then be acquired from the community. As for Galician, if it has some similarity to Spanish, then this is naturally to your advantage and shouldn’t be too hard for her to acquire at a later stage, given sufficient exposure and need. For the time being, though, I would emphasize Spanish and Polish, and establish a clear, more limited domain of use for Galician, like during your read-aloud time. Perhaps a bit later, once Spanish and Polish have firmly taken root, you could try expanding this domain. One possibility, for example, would be to continue using Spanish at home, while using more Galician with her outside the house. Xaquin, I wish you and your family all the best! Please keep me posted on your progress! I have one difficult situation to post here—I am looking for a solution and don’t know what to do. We live in the US, my husband speaks English and I speak Slovak to our girls (almost 4). We have a great nanny, but she is American too. (She supports bilingualism but does not speak Slovak.) Because both of us work FT, it is hard for the kids to speak in the minority language at least 30% of the day (I try). At this time, my kids are resistant speaking to me in Slovak—we don’t have many Slovak friends close by and family lives in Europe and we can’t see each other more than twice a year, if that. The problem is that my husband refuses to learn Slovak and does not support it. He blames the fact that this “divided” bilingualism is causing family tensions and is dividing the family (because he does not understand what I am telling them). I can’t, and will not, stop speaking Slovak to my kiddos because all my family lives in Slovakia. I think the kids must feel the tension and perhaps are afraid to speak Slovak to me around him. Can you offer some solutions that will help my kids learn the minority language in this setting and preserve our family happiness? Thank you! As I mention in the article, patiently educating others on the value of the minority language—and how this value ultimately outweighs what they consider the “downsides” of bilingualism—is the key to shifting their perspective from opposition to at least “passive” support. In your case, I can appreciate your husband’s resistance, which apparently stems from feeling “left out” because he doesn’t understand Slovak, but the fact remains that there are a variety of important reasons why Slovak is important to you and your children and if he can empathize more with these reasons (not the least of which is the need for Slovak to communicate with your side of the family), then hopefully he will become more accepting of the situation. The truth is, if the children don’t develop ability in Slovak (and it sounds like, in addition to this issue, that there’s a lack of language exposure to address, too), this outcome will be a huge disappointment to everyone—and I believe even your husband would come to regret it one day. So I’m pregnant with my first baby, I’m Congolese (in Africa) and hubby is Vietnamese. We both live in Canada (francophone part, in Montreal) and we were born here as well. As a kid, my mom and dad would only talk to me in French to make sure I wouldn’t struggle with the language at school. It’s only when I grew up (24 yrs old) that I learned my mother’s language (Lingala) and I’m actually still learning it! I would say I’m not too bad at it but I’m just so not used to speak it… On my husband’s side, his parents taught him Vietnamese when he was little and til this day he only speaks in Vietnamese with his parents but he’s far from being perfect (according to him). Together we speak French even tho we also speak good English from what we learned in school, from travelling, etc. So, the thing is, we really would like our kids to speak the four languages, Lingala, Vietnamese, French and English. It’s important for us that our kids know their two different cultures and that would be amazing if they could be fluent in Lingala and Vietnamese. We already planned on sending them to an English kindergarten and then, in elementary school, to a program where you spend half of the year speaking French and then the other half speaking English. As for the French language, we won’t really focus on it at first since we’re living in the francophone part of the city so it’s not gonna be an issue for them to learn it, plus me and my husband only communicate in French (I know only little of Vietnamese and he doesn’t know anything in Lingala). What do you think about the OPOL strategy for us (me speaking only Lingala and hubby only Vietnamese to the baby)? And do you think that the fact that these languages were not really our native language growing up is going to be an issue when teaching it to our baby? Sandra, congratulations to you and your husband on your first child! It sounds like it will be very possible for your children to develop good ability in all four languages. Of course, I’m unable to judge how fluent you and your husband are in Lingala and Vietnamese, respectively, but if it’s important to you that the children acquire these two languages, then you’ll have to be proactive and persistent about using them pretty exclusively in your interactions, particularly through the first few formative years. Because you and your husband speak French together, and French will be their majority language, the “danger” is that they won’t develop sufficient need to use these minority languages because they will come to recognize that you have ability in French, too. To whatever extent is realistically possible, I would try to “de-emphasize” your use of French around the children until they have developed a solid and active foundation in the two minority languages. Sandra, I wish you all the best and I look forward to hearing good news from you as time goes by! Adam, thank for your blog, it is wonderful! I am not a native English speaker, so sorry for my mistakes! In fact I speak Portuguese to our son (the majority language) and my husband speaks Dutch (his native language). We live in Brazil. He is now 1 and 9 months old. I will try to improve the two most important things we need to make him learn Dutch: hours of exposure and need. The problem is that my husband is very fluent in Portuguese and we normally speak Portuguese to each other. In addition, we do not have anybody who could speak Dutch to him, besides my husband. So, we really have a big challenge! We will do all the tips you gave in your website to increase the exposure. And we thought about doing the same you do at your house: he will only use Dutch to me and I will answer in Portuguese. My biggest doubt is if there is something else I could do to help… Maybe I could read some children books for him in Dutch and sing songs, and keep talking only in Portuguese. But my Dutch is very basic, I make mistakes and have an accent, of course. And maybe this could be more confusing to my son??? You gave me hope, because our situation is very similar to yours. Karin, thank you for your comment. I’m glad my blog can be a source of support to you and your family. 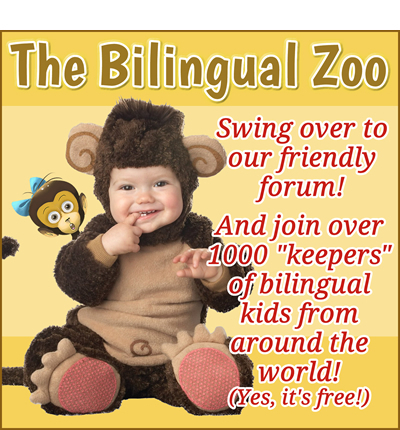 I also encourage you to join us at The Bilingual Zoo, my forum for “keepers” of bilingual kids. It’s a warm, lively community and membership is free. Just follow that link and click on “Register” at the upper right of the homepage. As for your situation, yes, the two “core conditions” for fostering active ability in the minority language are exposure and need. I don’t know how much time your husband is able to spend with your son, but I do think you would raise the odds of success in your favor if he would use Dutch with you in front of the child (instead of Portuguese), and if you follow your own good suggestion by establishing a daily time where you use Dutch, too, by reading books and singing songs. I’m not sure if you need to use Dutch beyond that special “Dutch time,” too, but maybe start by simply reading and singing at a set time each day, like after lunch for 30 minutes. Meanwhile, I think it’s important for your husband to be cautious about using Portuguese freely around your son. There are parents, of course, who still manage to get their children to speak the minority language with them, despite the fact that these parents regularly use the majority language, too. But I think it’s also generally true that the more a minority language parent openly uses the majority language, the more risk there is of undermining the child’s need to speak the minority language with that parent. After all, when the child is well aware of the parent’s proficiency in his stronger language, what real need does he have to use the other one? In my opinion (and see What to Do When Your Bilingual Child Won’t Speak Your Language and What Language Should I Speak in Public with My Bilingual Child? for much more on this issue), you’d probably have stronger success in fostering active ability in Dutch if your husband makes a conscious effort to use as little Portuguese in front of your son as possible. By using Dutch more proactively, with him and with you, this would address shortcomings in both exposure and need. This post is very old, so I’m not sure I’ll get a reply…but here it goes. My mother tongue is Spanish and my husband’s is English. We live in United States and our son is 21 months old. He goes to daycare 3 days a week, 2 days a week he is home with me and the remaining 2 days we spend them as a family. I speak to my son in Spanish only, but he hears me speaking English to my husband whose Spanish is very basic. I try talking to my husband in Spanish but it is difficult for him to understand a complex conversation. I know this undermines my son’s need to use the minority language, but I don’t know what to do. I think it is important our son see us interact…unfortunately, it has to be in the majority language. My husband is very supportive of my efforts to teach our son Spanish and he is trying to learn as well. I read, sing and talk to him in Spanish, try surrounding ourselves with Spanish speakers, take him to a Mommy and me class in Spanish, we travel to my home country at least twice a year (he has already been there 3 times)…I do everything I can to expose him to Spanish and despite that I see his English getting stronger. In your experience, do children start talking in both languages simultaneously? Do they start talking in one language first and then the other? What are the best strategies in our case? I wouldn’t worry if, at first, you hear more English from him than Spanish. As long as you stay proactive and persistent, his use of Spanish will appear as well. The key, again, is perseverance—your patient and playful perseverance through these early years and over the whole length of childhood. As I often stress, there’s always a payoff to perseverance. Angela, keep at it, day by day! I’m cheering for you and I look forward to hearing good news as time goes by! Thank you for your response and suggestions. I’ll be checking out the links you shared. Angela, yes, a big part of this journey is purely psychological. The fact is, if you simply continue with your good efforts, and strengthen them where you can, I’m confident you’ll eventually experience the sort of success you desire. But it’s also true (and this is true for us all) that our frustration and discouragement can hinder, even endanger, this natural process. Dear Adam, thanks a lot for your reply and your tips! We are going on vacation now (the grandpa is coming from the Netherlands, and it will be a good opportunity for our son to be exposed to the language). When we are back I will enter the Bilingual Zoo! Karin, have a fun-filled, Dutch-filled vacation! I look forward to seeing you soon at The Bilingual Zoo! Hello! I am a nanny of a toddler whose parents want their child to speak English, and we are all Russian. I speak English with the child according to our (my own idea) schedule – we interchange English and Russian days, and I speak the language of the day all day long. The reason why I cannot speak English with the child every day is the desire of her parents – they want her to speak both languages. Now the girl is 2,5 years old, and I’ve been speaking English with her since she was 1 year old. She is quite good in it, but Russian is her dominant language, because all the members of her family speak Russian with her. The trouble is – I had a vacation and the child had a break in our English days. As a result – now I see that she doesn’t like our English days when other Russian-speaking members of the family are present with us. We were together, just me and her, and she was very well, happy as can be, and she improved her English level a lot during just 2 days when there was nobody else with us. But now with other people she whines on our English days and says she loves me very much on the Russian days. I am confused as much as she is. Maybe you know how to handle this situation… What should I change in my strategy? Guliya, thank you for your question. I wonder if the solution is as simple as controlling the environment better. I mean, if the child hesitates to use English when Russian-speaking members of the family are present, and doesn’t feel this reluctance when the two of you are alone, then I would encourage you to discuss this issue with her parents. You need to be left completely alone with the child or the distinction she feels for her two “domains” of language use will remain fuzzy. In other words, when Russian-speaking members of the family are around, it evidently becomes a “Russian domain” to her and she may feel uncomfortable using English with you. Maybe she won’t feel this way when she’s older—at that point, she’ll hopefully switch back and forth between the two languages more easily, depending on the speaker—but for now, I recommend keeping the two “domains” very distinct. One more observation: Assuming you live in Russia, and the child is getting plenty of exposure to Russian from her parents and the environment, it might make more sense—it might be better for her bilingual development—if you used English more exclusively, rather than a strict balance of one day of English, one day of Russian. Not only would this increase her exposure to English, it would strengthen her need to use the language with you. Thank you very much for your reply, Adam! Could you please be more precise – how to use English “more exclusively”? We live in Russia most of the time, but we also travel a lot to Italy and Switzerland, and every time we are abroad I try to stimulate the child to use her English skills with other English-speaking people. Do you mean something like this? Guliya, you’re welcome. By “more exclusively,” I simply mean using English more and Russian less. Frankly, if I were the parents and the child will likely go to a Russian-speaking school when gets a bit older, I would want you to use English with the child all the time, not just half the time. (As if you were a monolingual speaker of English.) This more intensive exposure to English would help fuel her early bilingual development even more strongly. I really appreciate your help, Adam! Your advice is very helpful to me. Actually the child’s parents did not direct me about what strategy to use. They did not suggest me anything, but at the very beginning when we first met I asked them if I should speak English with the child and they said: “No, only activities” (something like lessons, I guess). But I changed the strategy a lot since that time… I realized that finger plays and songs is not enough and finally I started to speak English 50% of the time with her. So the results are much more than her parents expected. Frankly speaking, her parents did not verbalize it to me, but I know they see it. Actually I am still a little bit puzzled about this situation. I am sure the kid’s parents are not planning me to speak English all the time. But anyway thank you, Adam. You are absolutely right. I am a mother of 5. We are from France and speak French at home. 7 years ago we moved to the UK. We home educate our children, the main language we use during the schooling time is French. We do teach English as a subject as well. Our 3 eldest (9, 7, and 5) learned English quite well, mainly through the interaction with friends, clubs they are attending and books. Everything is going well for them. But now there is a new situation as we are moving to Greece in a few months time. We will continue to speak French at home as that is our mother tongue and our emotional language. I am sure they will learn Greek because their environment is Greek and perhaps we can hire a tutor if necessary. But we also find it very important that they won’t lose their knowledge of the English language. And that the two little ones (3 and 1) learn English at a good level. Also because their Secondary Education is with an English institute. We don’t know what to do. We can use books, but will that be enough? I want to expose them to more English than just books. Perhaps only speaking English for 1 (or 2) days per week. But will that not be confusing for the 3 and 1 year old? Or only speak English when we are outside? Any advice will be highly appreciated. Michelle, this is a tricky situation, with a number of variables. I agree that you’ll need to implement some kind of distinct “English time” within your family life or it may be difficult not only to nurture the English ability of the two smallest children, but advance the English ability of the three older children as well. I can’t really judge what would work best for your family, but I think you’ve mentioned the main two options: designate a day (or maybe the full weekend) as your “English time” and be very consistent about maintaining your use of English during that period, or set the “rule” that French will be used inside the home and English will be used outside. At the same time, I would supplement this intensive “English time” with not only home schooling lessons in English, but also a daily read-aloud session, particularly for the two younger kids. Again, if you’re consistent about separating the “domains” for these two languages (either based on time or place), then I think the younger kids will gradually follow suit and this won’t be a significant issue. Meanwhile, since the children won’t be attending a local school, nurturing their Greek will also pose a challenge. I suppose, though, that Greek needn’t be as high a priority as French and English if you don’t think you’ll stay in Greece for a long time. It all depends on your future plans and needs. Michelle, I wish you and your family all the best! Keep up your good efforts! Thank you for the great information on this blog! My husband grew up speaking both English and Spanish and he is fluent in both, but he prefers English. I am an English speaker who learned Spanish in school and I’m still learning. I have a pretty big vocabulary but trouble with grammar in Spanish, and I still make a lot of mistakes. We live in the US and we want to teach our 7 month old daughter English and Spanish. We have started a system where we both speak in Spanish on the weekends and mainly English during the rest of the week (but we mix in some Spanish phrases). Currently we could only find a spot in an English speaking daycare, but later on we are hoping to find a Spanish speaking daycare. Do you think this is a workable system, or do we need more Spanish exposure from the beginning? My husband’s other concern is that if I speak with our daughter in Spanish she will learn incorrect grammar and it will be confusing for her. Could this be a problem? Marina, I’m glad you’re finding my site helpful as you embark on your bilingual journey. Congratulations to you and your husband on your baby girl! The two “core conditions” for fostering active ability in any language are exposure and need: the child must receive sufficient exposure in the target language and feel a genuine need to use it. Based on the circumstances you describe, I’m afraid both are lacking. 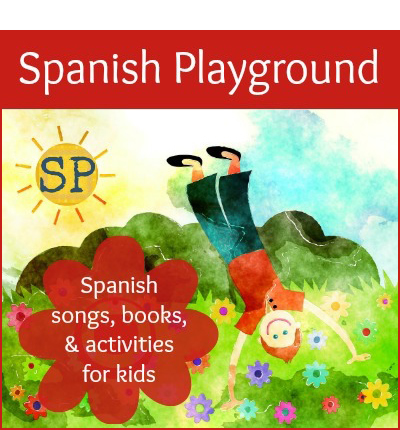 If active ability in Spanish is an important priority, I think you would significantly raise the odds of success if your husband uses Spanish consistently with your daughter, and with you in her presence, while you use Spanish as much as possible, too. (As long as she also receives ample exposure from other sources, I wouldn’t worry about any shortcomings in your own Spanish.) Not only would this enable you to provide at least 25 hours a week of exposure in the minority language—which is a good benchmark, I think—it would also help “condition” your daughter to use Spanish with your husband once she begins to speak. 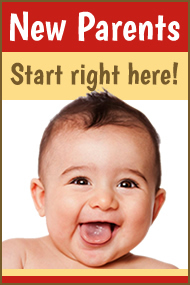 (And if you can find Spanish-speaking daycare, that would be a great source of support.) As it stands, she’s receiving relatively little exposure to Spanish, compared to English, and her need for the language is being undermined because English is used so liberally and freely around her. 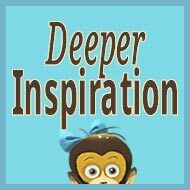 I encourage you and your husband to take a close look at the articles I’ve listed in the special resource page, Posts for New Parents. The first few formative years are crucial to longer-term success, and I urge you to be more proactive about addressing these issues of exposure and need if fostering your daughter’s active ability in Spanish is an important goal for your family. Best wishes to you, Marina! I’ll be cheering for you! Hi, I am new to this website. Our situation is difficult in that my husband and I are both native English speakers. I have a deep interest in my parents’ native language, which I speak as a second language. It is impossible for me to imagine doing OPOL because my kids are 10, 7 and 5 and don’t know what I am saying to them when I speak Bengali. I am trying to speak Bengali and then immediately translate what I have said, but this only lasts for a few phrases. I am going to use this site to get ideas and stay committed, and am committed to increasing the amount of time I speak in Bengali with them. Any other advice is very appreciated. Thank you! Yes, it wouldn’t be realistic to begin using Bengali exclusively with your children at this point. However, if you can implement daily habits and routines to provide them with regular exposure (like a “Bengali time” where you use Bengali—and only Bengali—in playful ways), they will gradually make progress over time. The extent of their learning will depend on a variety of factors, but generally speaking, the more proactive you are, day by day, the more progress they will make. 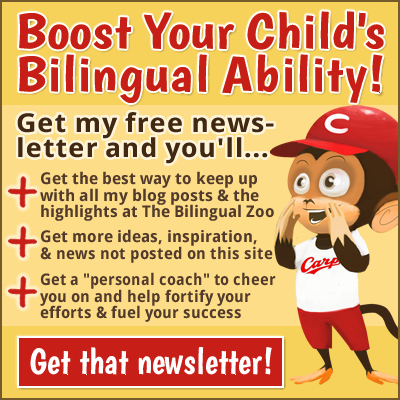 If you haven’t already seen Is It Too Late For My Child to Become Bilingual?, I recommend a close look at that post and the links within it. 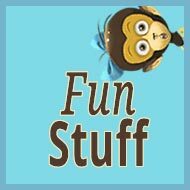 I hope my site is helpful to your efforts (my weekly newsletter might be useful, too), and I wish you and your children all the best as you move forward with playful perseverance! It’s my first time commenting on this website! Our situation is this: I am a native Spanish speaker and English is my second language. My husband is British, and although he has a very good knowledge of Spanish vocabulary, etc., he struggles to make up a sentence at all. I have a degree in Spanish and have helped him learn but it’s been hard to improve his speaking. His listening skills are not too bad. We live in the UK. We have a 1.5 year old little boy, who has a very short attention span, is extremely curious, crazy…he never stops! We chose the OPOL method, because, after careful consideration, we thought it was the best method that could fit in our lifestyle. So I speak Spanish and my husband speaks English. Due to my husband’s extremely basic Spanish, we have to speak English to each other, but I have always persisted in speaking Spanish to our son…even when we are in public. We have taken him to my home country to visit his grandparents and rest of the family, so we hope that has done him some good. So far, we think it is going okay. Even though he hasn’t really said any words (he babbles a lot though), he does understand both languages. Due to his lack of attention, it is hard to get him to copy words we say, for example, animals or colours, but there have been times when he picks up a toy we asked him to get in both languages, he understands giving a kiss in both languages, and some other basic commands like ‘come here’, ‘it’s time to eat’, etc. We hope his language skills will improve soon…it can be frustrating sometimes because his lack of attention gets in the way, and both of us try to give as much input as possible…we use bilingual books with him, sing songs etc. Thank you so much for sharing your experience. We do hope that our bilingual journey will be rewarding. It is not easy and we are aware of the difficulties, but we are determined to let our child and any other siblings he might have in the future know the importance of being bilingual and to cherish the rich cultures both mummy and daddy have to offer. Sofia, thank you for your comment. I enjoyed learning about your family. It sounds like you’re making good efforts that will surely pay off over time. You might look at the post Important Thoughts on Babies and Hammers for a helpful perspective on children producing the target language. I would also encourage you to join us at The Bilingual Zoo. There are a number of parents in our community, from many parts of the world, who are raising children with Spanish as the minority language. Sofia, you’re definitely on the right track and I look forward to hearing good news from you as time goes by! All the best! 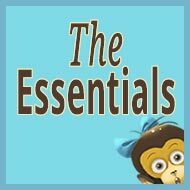 Great page and amazing resource for parents! I’m just discovering it post by post. I’m 9 months pregnant and I think is about the time to start thinking about the strategy for raising bilingual kids. I’m Polish, my husband is Portuguese, we both speak some of the other one’s language, but feel the most comfortable to communicate in English, which we do on a daily basis. I’m going to be the main caregiver. Just to twist that more, we live in a French-speaking country (which is not much of a concern right now, as me might move out before baby reaches the school age). -my husband speaking Portuguese and English. Does it sound like something that might work? Anna, first, let me give you and your husband my congratulations! Your lives will soon change in wonderful ways! So, Anna, I would encourage you to narrow your focus for the first stage of your journey, by providing ample exposure to both Polish (you) and Portuguese (your husband), knowing that English can be successfully added as a third language later on. If you try to do too much too soon, you could experience greater difficulties in fostering active ability in your native languages. Best wishes on your bilingual (then later, trilingual) journey! Zina, thanks! I hope my blog and forum can continue to be a source of support to you on your journey. From the description of your circumstances, it sounds like maintaining adequate exposure to the minority language will be an ongoing challenge. On top of this, your husband’s use of English around your daughter (I assume you speak English together) may undermine her need to communicate with him in Hungarian, once she starts talking. Because the two “core conditions” for fostering active ability are exposure and need, I think your support is essential. So, yes, whatever efforts you can make, beyond the exposure your husband can provide, will help strengthen the odds of success. I wouldn’t worry too much about “confusing” her, though I do think it would be helpful if you establish a clear “domain” for your use of Hungarian to aid her in distinguishing it from English. For example, perhaps you could create a “Hungarian time” for 30 minutes each day where you try the sort of activities you mentioned. This could be supplemented as well with video of your husband along the lines of my cloning idea. At the same time, I would encourage your husband to be cautious about his use of English in front of your daughter. The more he can emphasize Hungarian, and “de-emphasize” English—particularly during the first few formative years—the greater the chance that she will be properly “conditioned” to use Hungarian with him. However, I’ll be honest to say that, because the basic circumstances are working against your success, you and your husband will have to be very proactive to shift the odds more in your favor and foster active ability in Hungarian. Thank you so much for all the great and helpful information on your blog! My husband and I are from Germany and have been living in the US for almost four years. We are expecting our first child next month and will move back to Germany within the next year, so English will become the minority language. We were planning to raise our child bilingual (English and German), with me as the main caregiver speaking English and my husband German. After doing some research on bilingual education I am starting to doubt our plans. Even though I am assured by my environment that my English is nearly flawless with almost no German accent I feel my English is not perfect and of course not as good as my native language German. Besides, my current repertoire in English children’s songs/rhymes/stories is limited compared to German ones (even though I am dedicated to change this and already bought books and songs). I am starting to get worried our son’s language development might suffer if he is not exposed to 100% “correct” English by me as a non-native speaker, and that our communication and bond might be more superficial in English than it would be in German. I am wondering if I could communicate in both English and German with our child, if I manage to stick to strict daily routines (certain dedicated reading and playtimes as well as bedtime in English only). What are your thoughts on deviating from the classical “OPOL” and “ML@H” approach? Do you have more advice on bilingual education for non-native speakers? Do you know of any resources on how much English (in % or hours) the child should be exposed to in order to benefit from this? Melanie, first off, a big CONGRATULATIONS to you and your husband as you await the arrival of your first child! I wish you much happiness and success on your bilingual journey! The more important issue is which language would you mainly prefer to use, on a personal and emotional level, with your son? There are many parents who have opted to use a non-native language with their children and report success in all ways. One of them is Christine Jernigan, who wrote a fine book for non-native parents called Family Language Learning. 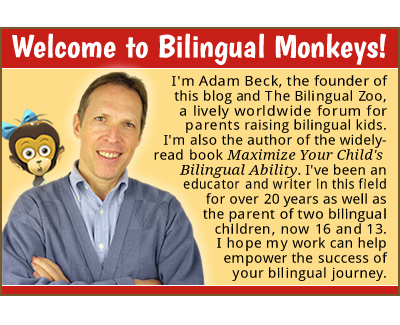 You’ll also find non-native parents at my forum, The Bilingual Zoo. I hope these thoughts are helpful! I wish you all the best, and look forward to hearing good news from you in the future! Christina, I know you feel overwhelmed at the moment, but take this day by day—you can do it. And, at the same time, keep breathing in as much joy on your journey with your son as you possibly can. The main thing is regular exposure to Spanish so if you can commit to speaking to him in this language as fully as is realistic for your situation, from this day forward, while also emphasizing books in Spanish and reading aloud, I expect you’ll steadily make substantial progress over the months and years ahead. 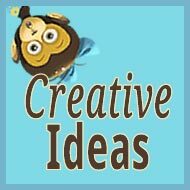 For more useful guidance and information, I encourage you to read through the posts at my resource page for new parents. If you’d like to learn more about my book, please see this page at Amazon. Christina, I send my best bilingual wishes to you and your son! I’m cheering for you! Our son is 2 months old and we’re currently living in Germany. My mother tongue is German and my husband’s mother tongue is English. His German is nearly perfect (intonation-wise as well) and my English is very good. With most people around us we communicate in English. Before our son was born we switched between English and German all the time without any “rules” – sometimes within sentences. He has a Spanish Au-Pair and we communicate in English with her but she speaks Spanish to our son. We can’t rely on him learning German from social contexts since we’re thinking about moving to the UK when he is around 3 years old. We’re not entirely sure about it though and thus don’t know whether English will be the majority language or the minority one. We would like him to learn German, English and Spanish and to speak the languages actively. Our Au-pair doesn’t speak any German or English and she spends a lot of time with him just talking and reading to him in Spanish. My husband and I prefer communicating in one language with each other, either German or English. Do you think continuing switching from German to English would be good? Or is a more structured approach better? Speak German in the mornings, English in the evenings? Or German and English in different contexts? Or me speaking German to him, my husband English and us interchanging German and English when talking to each other? (I found it very difficult sticking to German while my husband is talking to him in English, since we often talk to him together and I find myself switching to English a lot or not finding the right words in German although it’s my mother tongue). Maybe you can foresee difficulties we should be aware of? Or you have some ideas about how to approach this best? Thank you for any advice! PS: I can notice that he can already distinguish between German and English and since I’ve spoken a lot of English to him he seems to give me strange looks when I talk to him in German. Clara, first, a warm congratulations to you and your husband on the arrival of your first child! Overall, it sounds to me like the basic circumstances (your and your husband’s mutual proficiency in both German and English, regular input in Spanish, your proximity to the three target countries, etc.) make you well positioned for trilingual success in the years ahead. So I think the longer outlook is very promising. Of course, if you move to the UK, at that point you’ll need to assess your son’s needs and make suitable adjustments to your approach. (Maybe you’ll return to speaking only German with him, or if that’s not enough to counterbalance the weight of English exposure, your husband could then begin using more German, too.) But again, your situation has several strong advantages so I’m confident you’ll be able to effectively foster active use in all three languages, given mindful and proactive efforts. Clara, I send my best wishes for much success and joy on your trilingual journey! That’s a very good idea and very encouraging. Thank you very much for your advice! I am amazed how after 4 years your article is actively being targeted and used to communicate with you! I read through almost all comments and answers and picked up lots of helpful advice. Would want to describe however our situation, our solution in mind, and hear your opinion. The strategy we are planning is: Armenian will be spoken at home between everyone, for English communication there will be dedicated hours (reading/watching/playing/etc. 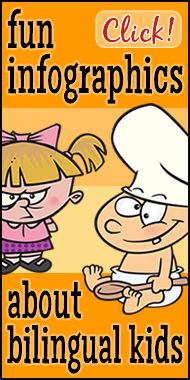 ), Polish will be picked up naturally from school/community, and Russian will be taught later. 1) what language should I read to / play with my child when almost all goods around are Polish? 2) what language to agree with my husband’s parents, because Russian is a lower priority language and their Armenian is with a dialect so has many differences in pronunciation/declensions/words? I’d highly value your thoughts and input in the strategy we have chosen and the concerns we have! Ania, thank you for sharing your situation. It sounds to me like you and your husband are well positioned for success at raising multilingual children. And I applaud the fact that you’re actively thinking ahead and considering how to effectively nurture your target languages once your children arrive. 1. As Armenian will be emphasized at home, I would encourage you to proactively seek out suitable resources in Armenian (books, music, games, etc.) so that these resources can support your intention. This is a vital and continuous part of the process, for the whole length of childhood. 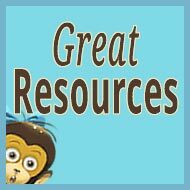 For several useful articles on resources, please see the first few links on the Great Resources page. 2. This is something to discuss and decide with your husband and your husband’s parents. As I’m not familiar with these languages, and how your husband/his parents feel about this issue, I can’t really offer informed advice. But, of course, to promote some steady development in Russian, they will need input in this language, too (whether from birth or later on), from family members and/or other sources. Ania, I hope this initial response is helpful! For much, much more, please continue exploring my work at my blog, my forum, and my book. Hello, how about dialect? We are living in Switzerland and I speak Swiss-German. The majority Language will therefore be Swiss-German. My husband speaks English as well as Luganda (native language from Uganda). Together we speak English and German (as in Germany and not the Swiss dialect). We want to raise our son bilingual (Swiss-German/English). I am confused how we as parents should talk to each other. If we do it in high German would the child think of it as a 3rd language? Would it be better if as a family we spoke English so that he can hear it more often? Thanks in advance. Sarah, if Swiss-German and English are your higher priorities (perhaps with German and Luganda as additional languages at a later stage), then I agree that it would make sense for you and your husband to now rely mainly on English for your communication as a couple. I’m not sure how each of you will speak to your son, but if you use Swiss-German and your husband uses English, then the additional English from your conversations as parents will surely help strengthen the overall input he receives in this language. In fact, depending on much time your husband is able to spend with your son, it may be necessary for you to use at least some English with your son, too (like at times the family is all together), particularly during the early formative years, in order to provide him with ample exposure to this language. Otherwise, his exposure to Swiss-German, from you and the community, may heavily outweigh his exposure to English. 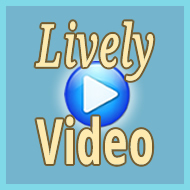 In terms of language strategy, you might find this video offers useful food for thought, too. All the best to you and your family, Sarah!